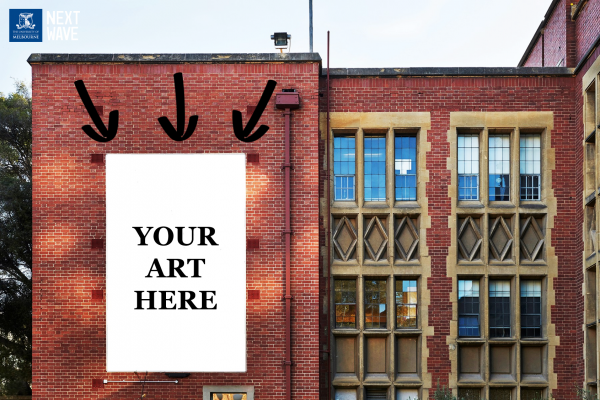 The New Student Precinct, in partnership with Next Wave, is proud to present two student arts opportunities (open to all University of Melbourne students): the New School Art Prize and the Participatory Art Workshop Series. This is a fantastic chance for students to showcase their creativity on the Parkville campus! The New School Art Prize invites students to submit an image in response to a curatorial prompt for the chance to be awarded a $1500 art prize. The successful student would also have their image reproduced as a temporary vinyl billboard presented on the east wall of the Peter Hall building. Students have the choice to participate in one workshop series to develop new creative works collaboratively as a group, with each workshop series culminating in a temporary public art installation or performance. All workshops are FREE to participate in. For more information please contact the New Student Precinct Team or visit their website.